Darkwa is rehabbing from an Achilles rupture he suffered during a training session in October, ESPN.com's Jordan Raanan reports. Darkwa will take part in a tryout with the Redskins on Sunday, John Keim of ESPN.com reports. The Jets have scheduled a visit with Darkwa on Saturday, Jordan Raanan of ESPN.com reports. Analysis: The workout is the second for Darkwa in a three-day span after he was checked out by the Bills on Thursday. He's also the second running back contacted by the Jets (Alfred Morris) due to the serious foot injury suffered by Elijah McGuire. Despite working behind a dismal Giants offensive line last season, Darkwa led the team with 751 rushing yards and five touchdowns on a respectable 4.4 YPC. Darkwa worked out for the Bills on Thursday, Ian Rapoport of NFL Network reports. Analysis: Darkwa has reportedly drawn interest from several teams this offseason, but this is his first visit since being medically cleared for football activities in the wake of an offseason knee procedure. The 26-year-old back managed 4.4 yards per attempt last season behind a subpar Giants offensive line, but struggled in pass catching. It makes sense that Buffalo would be interested in Darkwa after his breakout season, especially given the uncertainty surrounding top running back LeSean McCoy. Darkwa (knee) announced via his personal twitter account that he has been medically cleared for football activities. Analysis: Darkwa underwent a minor knee procedure early on in May and will now look to catch on with a team ahead of the 2018 season. He reportedly had several interested teams prior to his surgery after he averaged 4.4 yards per carry for the Giants last year. Look for him to sign on as a backup or change of pace running back for the coming year. Darkwa underwent minor surgery Wednesday to remove a plate that was inserted in his leg last offseason, Ian Rapoport of NFL Network reports. Darkwa's X-ray indicated that the fracture has fully healed, so the plate that limited his explosiveness has been removed and he should be ready for on-field activity in about four weeks. Analysis: Darkwa reportedly has drawn interest from a number of teams this offseason, but apparently hasn't been satisfied with the offers presented to him. It doesn't sound like he'll face any health concerns heading into NFL training camps, so the procedure shouldn't affect the market for the 26-year-old back, who averaged 4.4 yards per attempt last season behind a Giants offensive line that Pro Football Focus ranked as the 26th-best unit in the league. Darkwa is visiting with the Patriots on Monday, Ian Rapoport of NFL Network reports. Darkwa could re-sign with the Giants before March 14 when free agency begins, ESPN.com's Jordan Raanan reports. 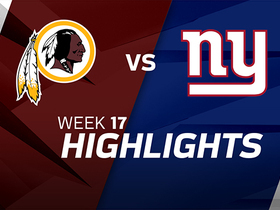 Darkwa carried 20 times for 154 yards and a touchdown Sunday against the Redskins. 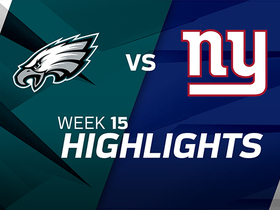 Darkwa ran for seven yards and a touchdown on nine carries and added a nine-yard catch during Sunday's 34-29 loss to the Eagles. 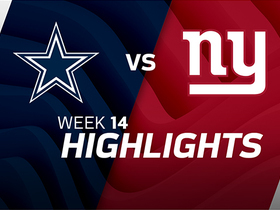 Darkwa carried 10 times for 29 yards and caught two of three targets for an additional 15 yards during Sunday's 30-10 loss to the Cowboys. Analysis: Darkwa averaged an underwhelming 2.9 yards per carry, despite what was a favorable matchup on paper, finishing with fewer than 33 rushing yards for the third straight game. He also watched as fellow back Wayne Gallman totaled 99 scrimmage yards on 19 touches and was heavily involved as the Giants played from behind. 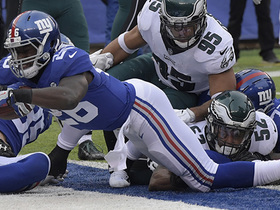 Given Darkwa's ineffectiveness and Gallman's emergence, the latter seems like the more desirable fantasy option heading into next week's matchup with the Eagles. Darkwa (illness) is active for Sunday's game against the Cowboys. Darkwa (illness), who is listed as questionable for Sunday's game against the Cowboys, is expected to play, a source informed Ian Rapoport of NFL Network. Analysis: After coming down with the illness following Wednesday's practice, Darkwa sat out Thursday's session before returning Friday in a limited capacity. While Darkwa may not be fully recovered from the illness, it sounds like he'll be healthy enough to give it a go Sunday, likely reprising his role as the Giants' lead back. After three consecutive games of at least 70 yards on the ground, Darkwa's productivity has dipped the past two weeks, as he's amassed only 70 total yards on 27 touches. Darkwa (illness) is listed as questionable for Sunday's game versus the Cowboys. Analysis: Darkwa was absent from practice Thursday due to an illness, but he participated in both of the Giants' other two sessions this week. As such, he should be healthy enough to suit up Sunday and act as the Giants' lead back against Dallas' 12th-ranked run defense. Darkwa (illness) returned to practice Friday, Jordan Raanan of ESPN.com reports. Analysis: Darkwa sat out Thursday's session while under the weather, but he was feeling good enough to suit up Friday. It's looking likely that he'll be ready for his usual duties as the Giants' lead back during Sunday's game against the Cowboys. Darkwa missed practice Thursday due to an illness, Jordan Raanan of ESPN.com reports. 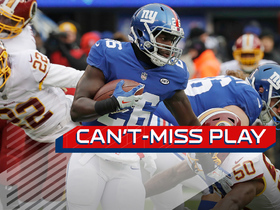 Analysis: The Giants' lead back has one day remaining to return to practice, but Darkwa may enter the weekend with a fog hanging over his status for Sunday's game versus the Cowboys. Elsewhere in the backfield, Wayne Gallman is tending to a hip injury, so question marks abound about the upcoming breakdown of reps.
Darkwa was absent from the Giants' practice Thursday, Dan Duggan of NJ.com reports. Analysis: The Giants haven't provided a reason for why Darkwa isn't taking part Thursday, but the running back noted following Wednesday's practice that he was sick, so that's presumably why he's sitting out. Unless Darkwa's illness is an especially serious situation, he still seems likely to play Week 14 against the Cowboys, though his return to practice Friday in any capacity would provide some added comfort to fantasy owners heading into the weekend. 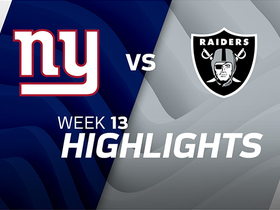 Darkwa rushed 14 times for 32 yards and a touchdown and caught his lone reception for a loss of one yard in Sunday's 24-17 loss to the Raiders. Darkwa (hamstring) doesn't have an injury designation for Thursday's game in Washington, Jordan Raanan of ESPN.com reports. Analysis: Darkwa was listed as limited on the first two injury reports of the week due to a hamstring issue, but it wasn't severe enough to impact his availability for Thursday. In his current string of six consecutive starts, he's churned out averages of 16.5 touches for 84.5 yards from scrimmage and two total touchdowns. Darkwa (hamstring) was listed as a limited participant at Tuesday's practice. 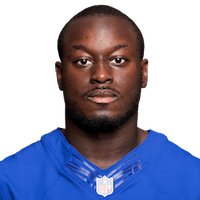 Analysis: Darkwa's presence on the field in any capacity two days after Sunday's overtime win over the Chiefs should be taken as a positive sign, so his hamstring injury doesn't look like anything that will impact his availability for the Thanksgiving Day game against the Redskins. Even so, Darkwa could carry an injury designation for the Week 12 contest due to the quick turnaround between games, with clarity on that front likely to come following the Giants' final practice of the week Wednesday. Darkwa was listed as a limited participant on Monday's injury report with a hamstring injury, Art Stapleton of The Bergen Record reports. 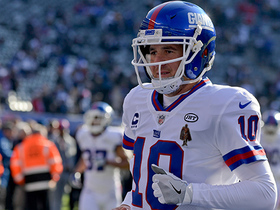 Analysis: The report merely provides an estimation, as the Giants didn't actually hold a practice the day after an overtime win over the Chiefs. Darkwa had 20 carries for 74 yards and a touchdown in the 12-9 victory, also adding two catches for 16 yards on four targets. He took a bit of a beating in the contest, but Darkwa said Monday that he'll be fine for Thursday's game against Washington, SNY's Ralph Vacchiano reports. Darkwa rushed 20 times for 74 yards and a touchdown while catching two of four targets for 16 yards in Sunday's 12-9 overtime win against the Chiefs. Analysis: The 25-year-old undrafted free agent served as the workhorse in this one, getting 20 carries compared to Wayne Gallman's six. Darkwa opened the scoring with a one-yard plunge into the end zone early in the second quarter for his first touchdown since Week 5. 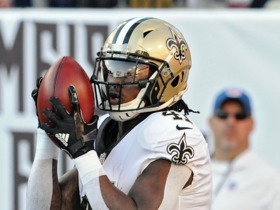 He's becoming a reliable option with at least 70 yards in three consecutive weeks. Darkwa gained 70 yards on 14 carries and caught both targets for an additional 18 yards in Sunday's 31-21 loss to the 49ers. Darkwa carried 16 times for 71 yards and caught both targets for an additional eight yards during Sunday's 51-17 loss to the Rams. Analysis: Darkwa led the team in rushing by a wide margin, posting a respectable 4.4 yards per carry. While he was effective in the early stages, his team got behind by a wide margin and couldn't afford to lean on the ground game any longer. Despite this misfortune, Darkwa has clearly emerged as the team's leading backfield option and is averaging 82.3 scrimmage yards per game over the last four. He should be in line to play a larger role in next week's matchup with the 49ers. 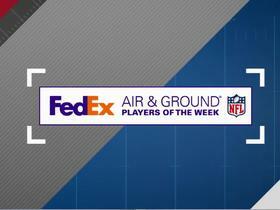 Here are the FedEx Air & Ground nominees for Week 17. New York Giants running back Orleans Darkwa takes a run up middle 75 yards to the house for a touchdown. New York Giants running back Orleans Darkwa caps off the Giants' first drive with a 1-yard touchdown. New York Giants quarterback Eli Manning receives a standing ovation running onto the field before his first snap today. 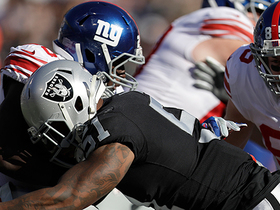 Oakland Raiders linebacker Bruce Irvin ambushes New York Giants running back Orleans Darkwa in the backfield for a huge loss.